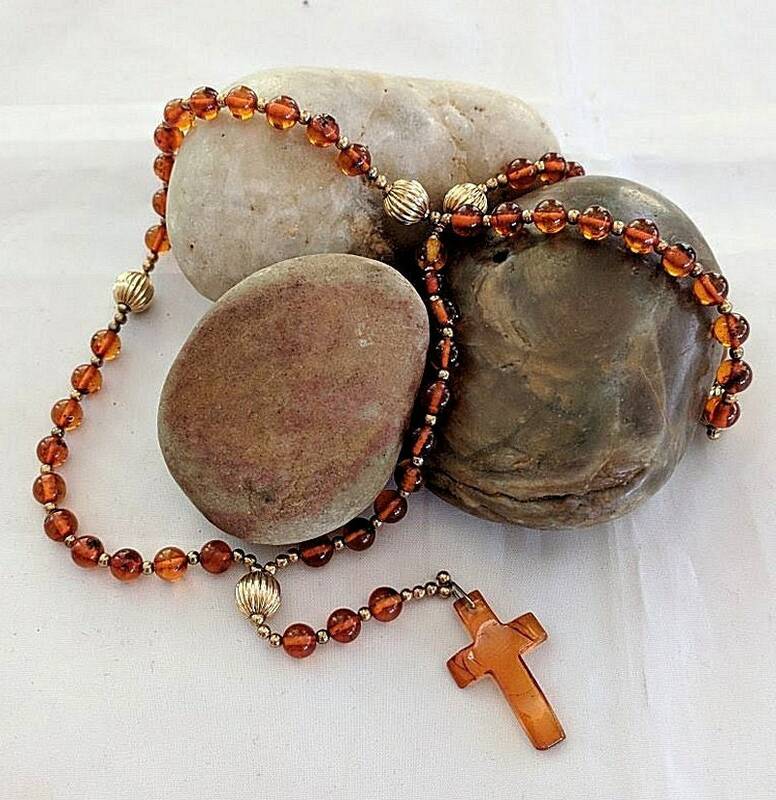 This small rosary has 6mm amber ave beads separated by five gold plated 8mm melon beads. 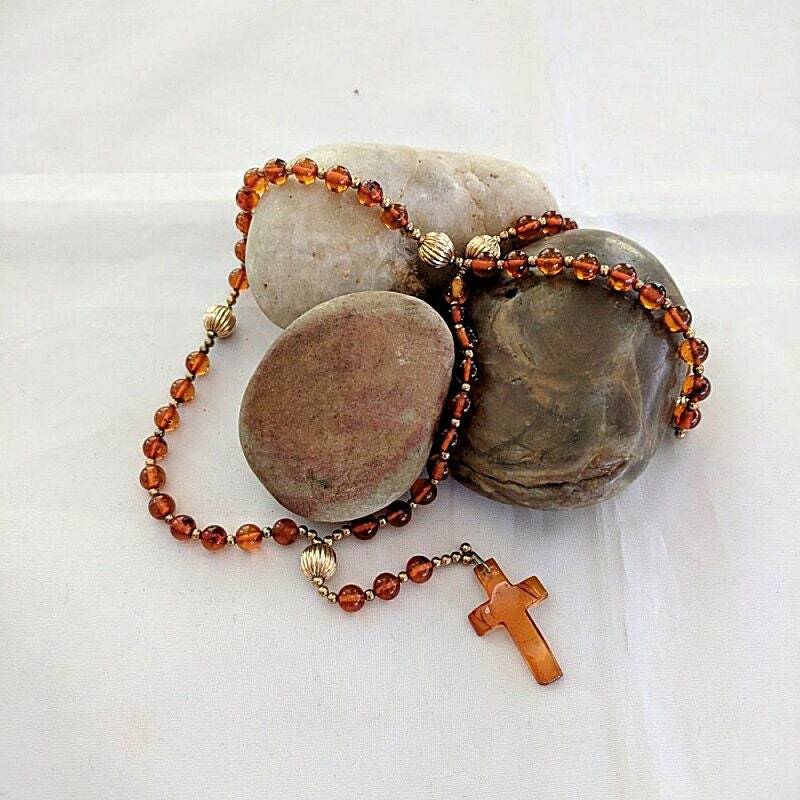 Each bead is separated by a 2mm metal bead and they are all strung on silk beading cord which is attached to a cut amber cross. The cross measures approx. 1" in height and 3/4" in width. 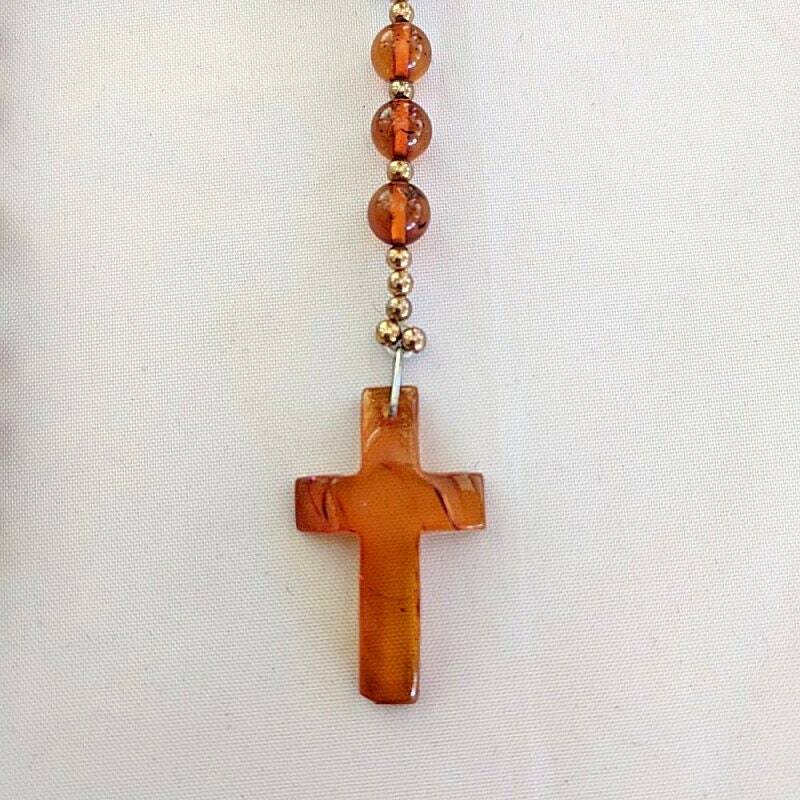 Folded in half, the rosary hangs approx. 12 inches. 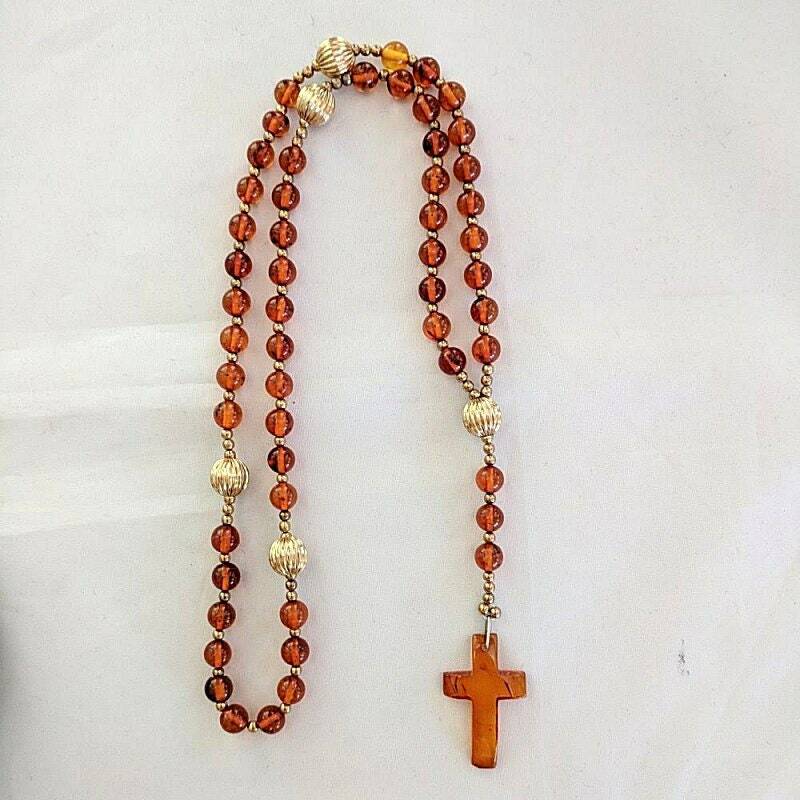 NOTE: This rosary is over 20 years old and could be listed in the vintage section. 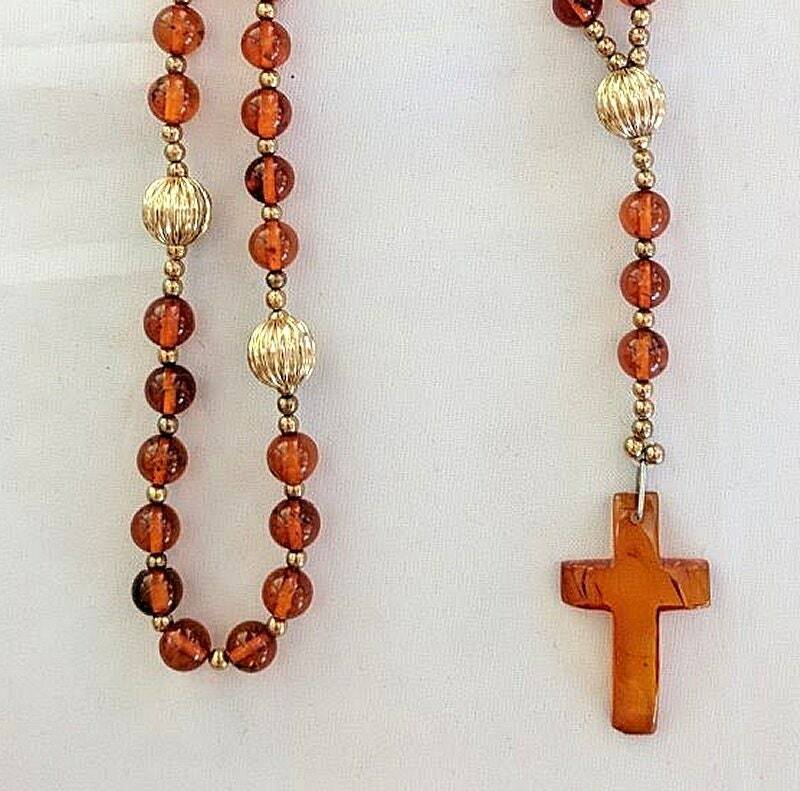 Some of the metal beads are slightly discolored.